Join us for a weekend of practical skills for both the homesteader with off-grid goals and the city-sustainable alike. We will be delving into fun, practical hands-on projects to help you be more self-sufficient in everyday life. 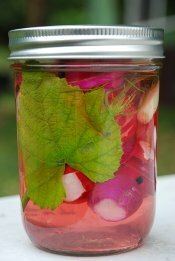 Learn about canning, small animal systems, creating new things from old, useful wild plants, fermented foods and more in this packed weekend introduction to basic homesteading projects and skills. The class takes place at the Alderleaf Campus in Monroe, WA. Our beautiful 15 acre property is nestled in the foothills of the Cascade Mountains 35 miles east of Seattle. It is an evolving model of environmental sustainability and features our classrooms, office, residences, ponds, a large creek, forested land, pastures, many gardens, chickens, sheep, and food forests. You can read about various homesteading skills at our permaculture articles page or on the homestead survival site.